This weekend we won the last tournament of the 2012-2013 rugby season. 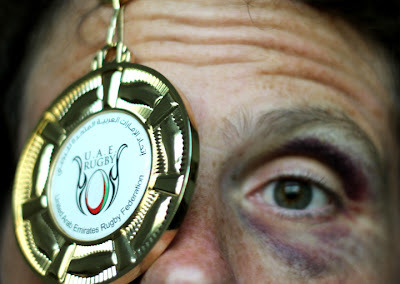 The Dubai Hurricanes got the first place after five blood-curdling games. As a souvenir: I got two medals! The blue medal makes me feel like a champion every morning when I look in the mirror.